AJK Enterprises can undertake the entire construction scope of a project. 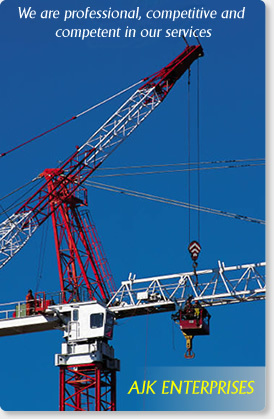 We have an effective management that can deliver projects as per contract requirements. We are adept at handling heavy civil works for infrastructure projects. This expertise extends from earthworks to high-quality finishes. The civil team has a proven track record in completing ‘fast track’ projects consisting of infrastructure development. AJK Enterprises is equipped with heavy-duty civil construction equipment like excavators, road rollers, batch plants, concrete pumps, mixers etc. We are adept at mobilizing resources quickly, in order to meet tight schedules and have earned a reputation of producing quality works well within stringent time and budget constraints.